Cairnhill Plaza is just mins walk from Orchard MRT, Paragon And Orchard Shopping Belt. Big apartment of 3,300 sq.ft with Big and spacious Living and Dining. Can accommodate big set of furniture . Cairnhill Plaza is a 30 storey twin tower block high rise condominium situated at the rim of Orchard Road. 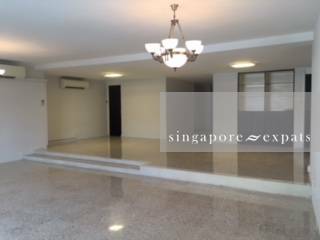 Good International schools, major shopping centres, leading hotels, supermarkets, exclusive country clubs and the Orchard and Somerset MRT stations are all within walking distance. At Cairnhill Plaza, units below the 18th floor have a big balcony at the living area, ideal for those who enjoy that little bit of outdoor living space.